As part of the digital.unison work programme, we are developing an online shop for branches to easily order UNISON materials – and customise them with their own messaging. UNISON has had an online catalogue for branches to browse materials available for them to order for many years now. However the ordering process leaves a lot to be desired – often relying on very manual processes including sending cheques for payment. This creates a lot of unnecessary work for both staff and the branch activists. The catalogue system is also old and prone to failure, so replacing it has become a priority for the digital team. Additionally, UNISON has also had a web-to-print platform where branches could order certain materials with custom messaging, pictures or logos. However this has never been used to its fullest, partly because it wasn’t integrated into the catalogue system so many branches are not aware of it. We are hoping to develop a new online shop for branches to use, that links into My UNISON so they can login with the same username and passwords they use for anything else. In addition we will then integrate a powerful tool that allows for leaflets and many other types of materials to be customised and then printed on demand. The first stage of the project – developing a Minimum Viable Product (MVP) shop – is already complete. Following a process to get feedback from branches we will develop this further into a beta version for wider testing in July/August 2017. Once the shop is ready we will start working on the additional customisation tools, which will be the second phase of the project and is likely to complete in late 2017. The next place that branches could get involved is at National Delegate Conference in June 2017, where we will be doing some user testing of the shop as it stands. 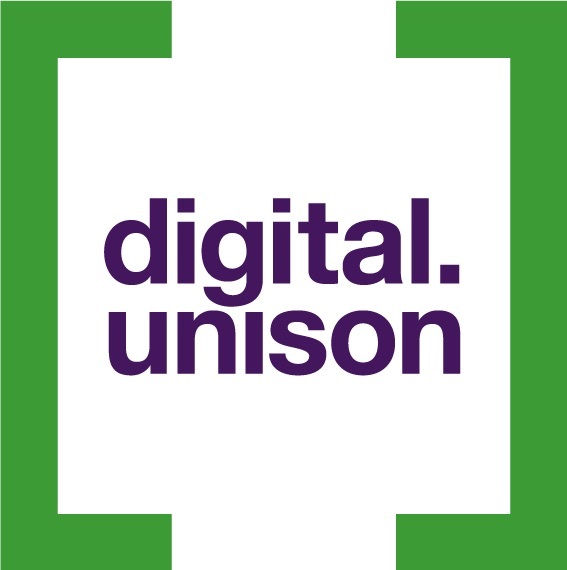 Look out for the digital.unison stand in the UNIZONE!